We recently e-mailed the information below regarding an outbreak of Canine Influenza Virus in the New York area. We are now informed that Idexx laboratories confirms a case of CIV in a dog in Paramus. We urge you to keep your dog’s CIV vaccine current. If you haven’t received the e-mail below, please read it, and call our office for an appointment if your dog is overdue or never had the CIV vaccine. You may have heard that an outbreak of Canine Influenza Virus (CIV) started in May in Brooklyn, and has now spread to Manhattan and Long Island. The number of dogs sickened went from three to thirty-six in a very short period of time, and is predicted to spread to other areas of the city. As you know, New York is not far from New Jersey and with the summer months, people travel with dogs, take them to dog parks, and get them groomed more often. While those dogs are at a higher risk, any dog that goes for a walk is exposed and vulnerable if another dog carrying the flu has walked in the same place. The virus can be passed by inanimate objects so that stick you throw while playing fetch in the dog park can become a fomite for up to 48 hours. 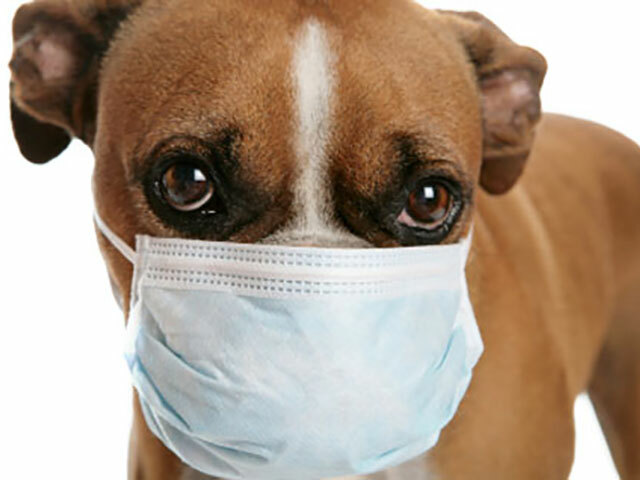 Dogs can become infected and shed the virus up to 7 days prior to showing symptoms so just because the neighbor’s dog “looks healthy” doesn’t mean he isn’t contagious. CIV is a novel virus which means every dog exposed to it will get it in some form, some more severe than others, and some may die from it. The good news is that there is a Canine Influenza Virus Vaccine. We urge all dog owners to get their dogs vaccinated. The best way to protect your dog is to vaccinate. There is one vaccine for both the H3N2 and H3N8 strains available. If your dog has not been vaccinated, an initial series consists of two vaccines 2-3 weeks apart. After the initial series, the vaccine is given annually. Call us today if your dog is not vaccinated. There is no need to take risks with your best friend.